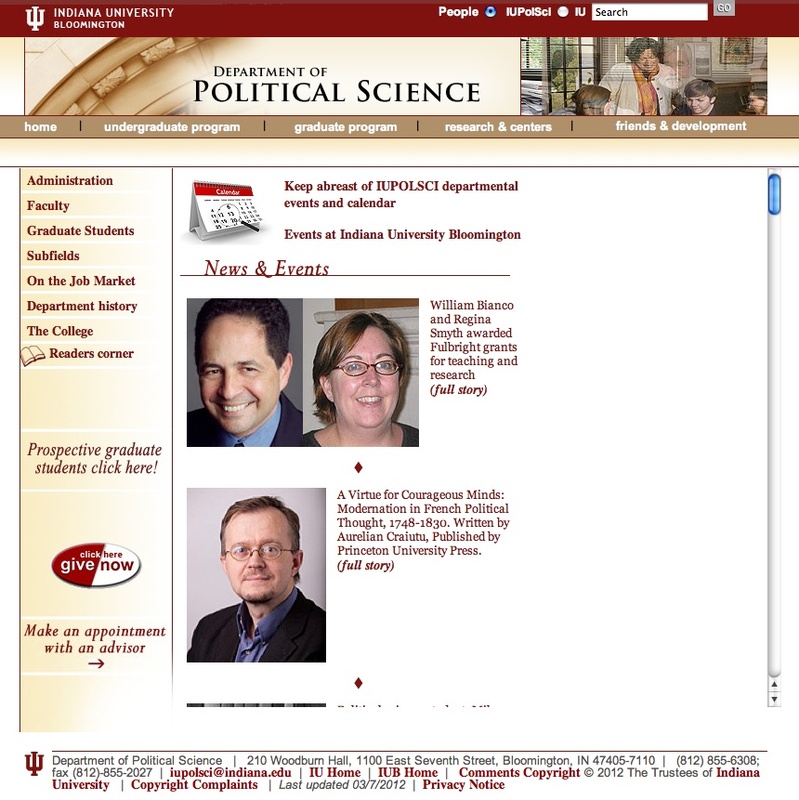 The Indiana University Political Science Department provides courses on a variety of topics in American politics, comparative politics, international relations, political theory, and public policy. The department is one of the oldest political science departments in the nation, and it is consistently recognized as one of the outstanding departments in the country. Besides general information, the website provides resources and services that are available through the department, a laboratory and an archive of political science data, which provides support and access to a vast array of statistical data sets and applications. Thanks to its memberships in the Inter-University Consortium for Political and Social Research and the Roper Center, the Department archives and makes accessible a wealth of information ranging from social surveys and election studies to polling data and demographics. The site content provides basic information on academic and research activities, current news and events such as the Workshop on Political Theory and Policy Analysis. Most pages offer plenty of full-text research papers freely downloadable and direct links to The Digital Library of the Commons, an international repository of free research reports on property rights.